Step on a scale. Go ahead, I won’t peek. Would you be surprised if I now told you that 1-2 percent of your body weight is from calcium? Calcium is the most abundant mineral in your body. It is found in the skeleton, teeth, blood, muscles and fluid between cells. While 99% of calcium is in your skeleton, this jack-of-all-trades mineral assists you with many critical bodily functions. Key roles that calcium plays include: 1) building and maintaining strong bones and teeth; 2) contraction and relaxation of muscles; 3) nerve transmission; 4) regulation of the heartbeat, 5) blood clotting and 6) secretion of enzymes and hormones. Because it’s so vital to life, your calcium level is always tightly regulated. If you don’t eat or absorb enough from your diet, your body will first try to slow the amount of calcium excreted through the urine and, failing that, it will literally pull needed calcium from its main storehouse — your bones. Since bones are built during childhood and adolescence, with 90% of bone mass acquired by age 18-20, your job in adulthood is to maintain the bone mass you have. If you’re steadily losing bone calcium due to poor nutrition or digestion, your skeleton will weaken, with potentially serious consequences, ranging from osteopenia (a thinning of the bones) to osteoporosis (a thinning serious enough that bones become porous, weak and easily broken). In growing children and adolescents, too little calcium can mean that they don’t lay down adequate bone mass in the first place, increasing their risk of fracture and osteoporosis later in life. Getting adequate calcium is a serious nutritional consideration for everyone. 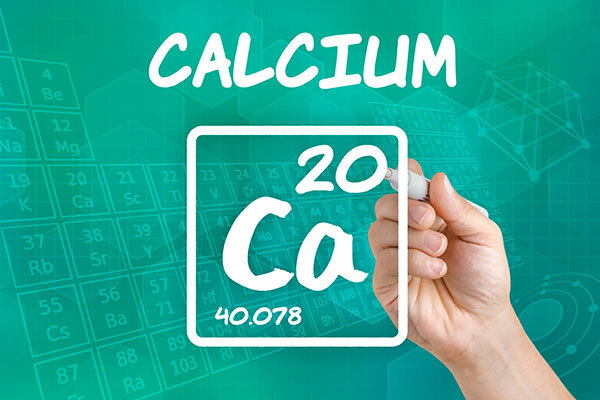 Studies in the US and Canada have found that many people are not meeting recommended calcium intakes. For those with celiac disease, the challenge can be even greater. For one thing, it common for individuals with celiac disease to remain undiagnosed and thus untreated for many years. American and Canadian researchers have found the average delay in diagnosis was 10-12 years! Because of the intestinal atrophy and impaired nutrient absorption (see my post The Gluten-Free Diet: Don’t Forget About NUTRITION! for an explanation), people with celiac disease may not have built sufficient bone mass during childhood, or they may have steadily been losing bone mass for a period of years, or both. Making matters even trickier, some individuals with celiac disease develop a secondary lactose intolerance. This usually is a temporary condition in which the level of lactase is decreased as a result of injury to the small intestinal villi. Once on a gluten-free diet, the villi begin to heal and over time the lactase levels usually return to normal. Until then, the individual may need to follow a lactose restricted diet. Lactose is a naturally occurring sugar found in milk and milk products. Eliminating or restricting dairy products is a challenge as they are one of the best and most common sources of dietary calcium. However, there are lactose reduced or lactose-free dairy products on the market. Another option is to use lactase enzyme preparations while consuming milk, yogurt and other dairy products. 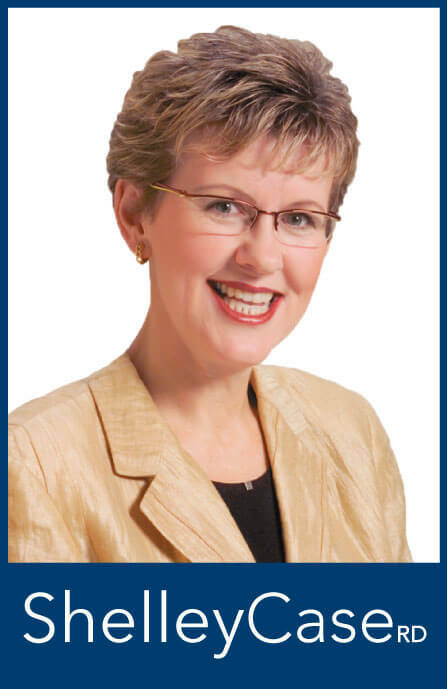 Continuing our discussion of nutrition and the gluten-free diet for Nutrition Month, here are my answers to questions I frequently address about getting enough calcium. Adequate intake levels depend on your age and gender, ranging from 200mg/day for infants to 1300/day for adolescent women. You can find your own recommended intake on this chart. What are the best food sources of calcium on a gluten-free diet? Milk and milk products are major sources of calcium and many other nutrients, providing over 75% of the total calcium in the North American diet. A cup of reduced-fat milk provides 350 mg of highly absorbable calcium. Two ounces of cheese will yield as much as 498 mg for harder cheeses like Swiss. A mere 6 oz. of low-fat yogurt will give you 311 mg of calcium. Ice cream, while delicious, only offers 84 mg per half cup, about the same as a half cup of baked beans. If you don’t particularly like drinking milk, you can still use it in cream soups, sauces, tea, coffee, smoothies, or tuck it in baked products. Or sweeten the pot and try chocolate milk! What if I am also dairy free? 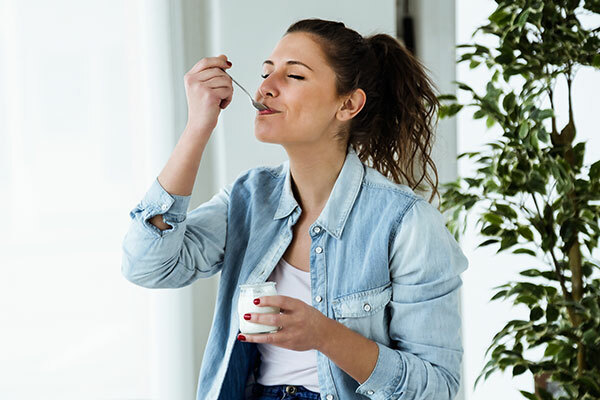 Non-dairy foods, such as broccoli, spinach, almonds and dried beans, offer calcium, but generally in smaller amounts or in a form that the body absorbs less efficiently. Nevertheless, don’t overlook them, as intake throughout the day will add up. Furthermore, a diverse diet of fruits, vegetables, grains, seeds and nuts will not only provide calcium, but a wide range of other nutrients vital to your health. One of your best sources will be fortified non-dairy beverages (made from soy, nuts, seeds, rice or gluten-free oats), fortified orange juice, and cereals with added calcium. Here is a list of the calcium content of various non-dairy foods to get you started (shown highest to lowest). * The calcium content for tofu is an approximation based on products available on the market. Calcium content varies greatly from one brand to the other and can be quite low. Tofu processed with magnesium chloride contains less calcium. Calcium is available in different forms such as calcium carbonate, calcium citrate, calcium lactate, calcium gluconate, calcium phosphate and calcium citrate. The most commonly available forms of calcium in supplements are carbonate or citrate. Check the label to determine the amount of total “elemental” calcium in the supplement. This is the amount of calcium that can be absorbed by the body. On average, calcium supplements contain 300–600 mg of elemental calcium, whereas most multivitamin/mineral supplements contain lower amounts (e.g., 100–200 mg). Calcium is absorbed more effectively when taken in divided doses throughout the day, e.g., a maximum of 500 mg at one time twice daily, rather than 1000 mg in a single daily dose. For maximum absorption, calcium carbonate should be consumed with food or immediately after eating. Conversely, calcium citrate can be taken at any time as it does not depend on stomach acid for its absorption. Some individuals may experience gas and/or constipation when taking calcium supplements. Strategies to alleviate the gastrointestinal symptoms include (1) starting with a smaller dose (e.g., 200–300 mg elemental calcium) for 1–2 weeks, then gradually increasing the amount, (2) spreading the dose throughout the day, (3) increasing fluid intake and/or (4) trying a different brand or form of calcium (calcium carbonate tends to cause more side effects than does calcium citrate). What if I’ve been untreated for a long time and have evidence of bone loss? 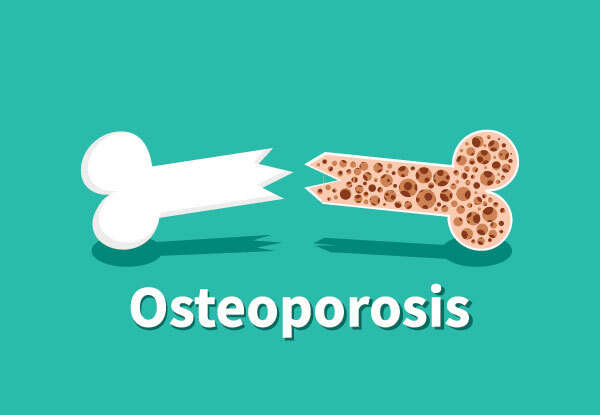 Are bone loss and/or osteoporosis reversible? When celiac disease develops in childhood or adolescence, bone mass can be restored to normal levels following treatment, provided the gluten-free diet contains adequate nutrients for bone health. For adults whose celiac disease has contributed to osteopenia or osteoporosis, correcting the bone abnormalities may be more difficult. Nevertheless, the condition can be managed by diet and nutrient supplementation, and, if necessary, using bone-enhancing medications. Discuss this with your physician. Do you have any other bone-heath tips? Eat a wide variety of foods to ensure adequate nutrients to build and maintain bone density. Limit your intake of alcohol and caffeine and, especially, do not smoke. All three are risk factors for osteoporosis. Stay active! Regular weight-bearing exercise such as brisk walking, hiking, stair climbing, dancing, and weight training can help maintain bone mass. Always consult your physician before beginning a new fitness program, especially if you have osteopenia, osteoporosis or a history of fractures. Want to know more? 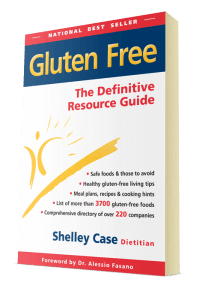 My book Gluten-Free: The Definitive Resource Guide dives deep into the unique nutritional needs of individuals with celiac disease and the gluten-sensitive, while offering easy-to-follow guidelines, meal plans, recipes and more. Get it here! Fatigue and Anemia…Is it Celiac Disease?